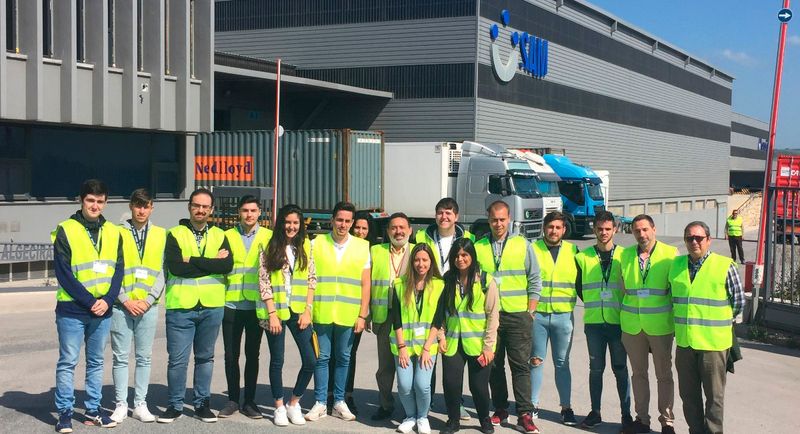 Several groups of students from Isla Verde Secondary School in Algeciras have carried out a day of theoretical and practical training at the SAM Algeciras facilities. 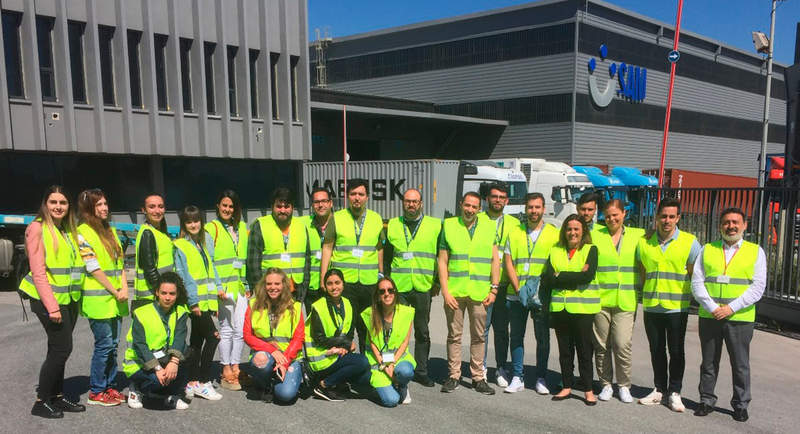 During these visits, the students and professors of Foreign Trade and Transport and Logistics were able to discover, with the help of the company’s professionals, what it is like to work daily on a logistics platform. 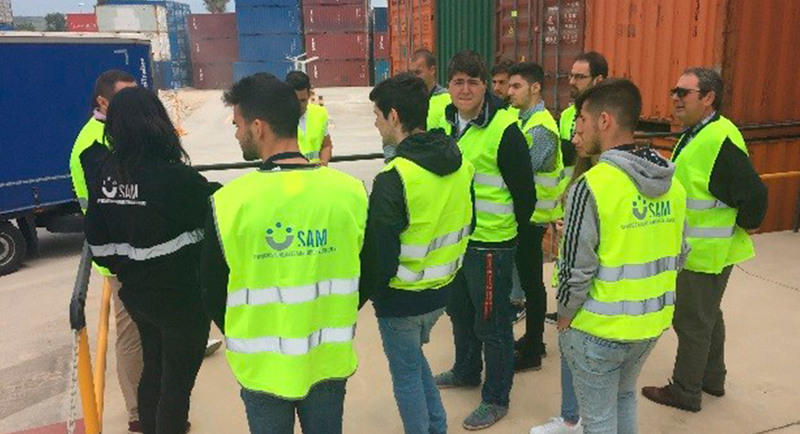 For many of the students this was the first contact with an installation of this type, so the entire SAM Algeciras team wanted to make their visit as attractive and interactive as possible. 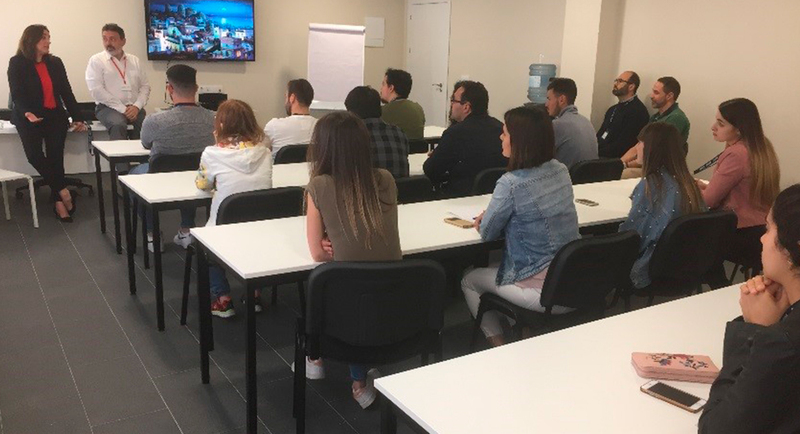 In this way, the day began with a video projection in which the different elements that make up the SAM Algeciras facilities and the work of Alonso Group and its main magnitudes were presented. 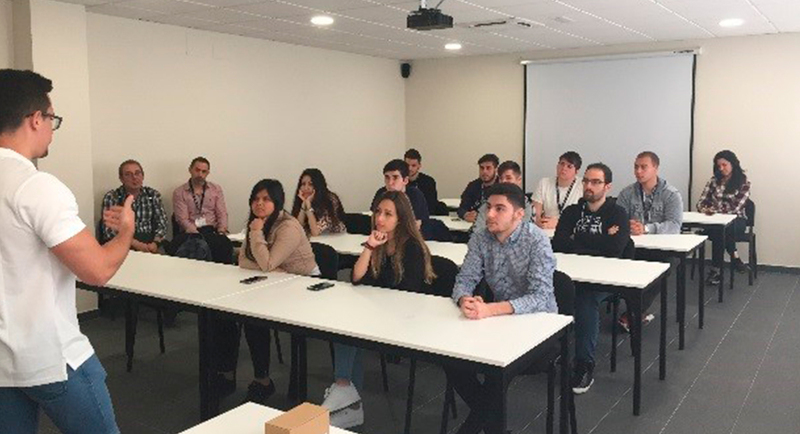 This was followed by interesting discussions on the logistics sector, its future and the elements of motivation that these new generations can value for their integration into the labour and professional market. A session in which everyone, students, teachers and professionals, have been able to enrich themselves with different points of view. 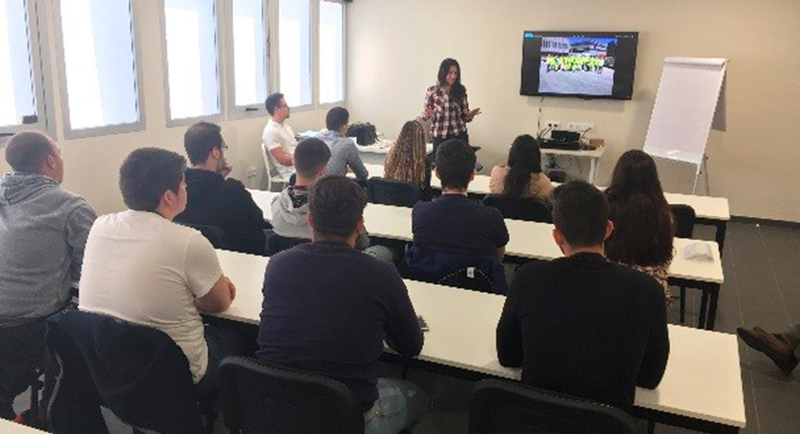 The talks, led by Belén Pacheco, head of Human Resources at SAM Algeciras and Diego Romero, director of Customs at Operinter Andalucía, were also attended by Ana Bienvenido, head of Environment at SAM Algeciras, as well as several students from Isla Verde Secondary School who are currently doing internships at both SAM Algeciras and Operinter. 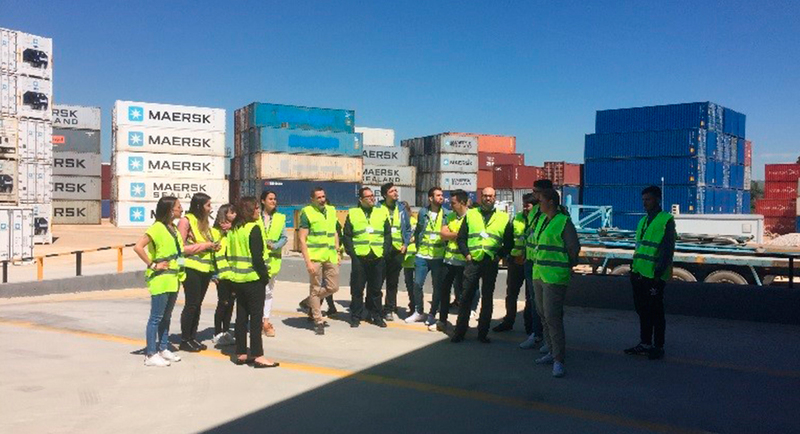 The visit was completed with a tour of the facilities where they were able to make contact on the spot with the different operations taking place in a first class logistics centre. 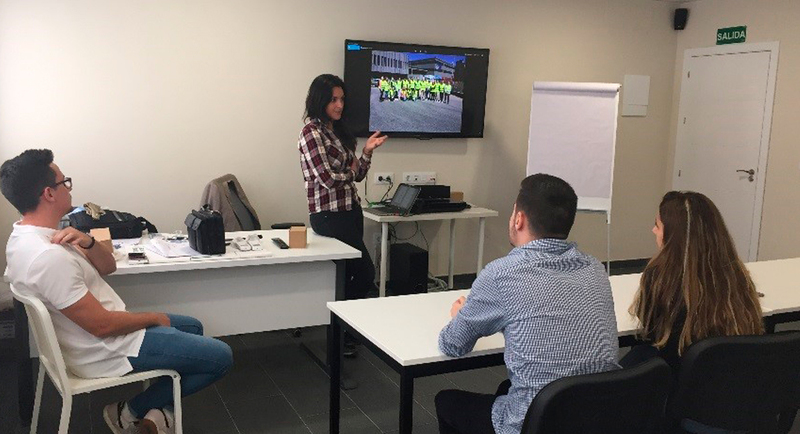 Alonso Group is aware of the great importance that the training of new talents implies, and for this reason it is firmly committed to the support of different educational initiatives. 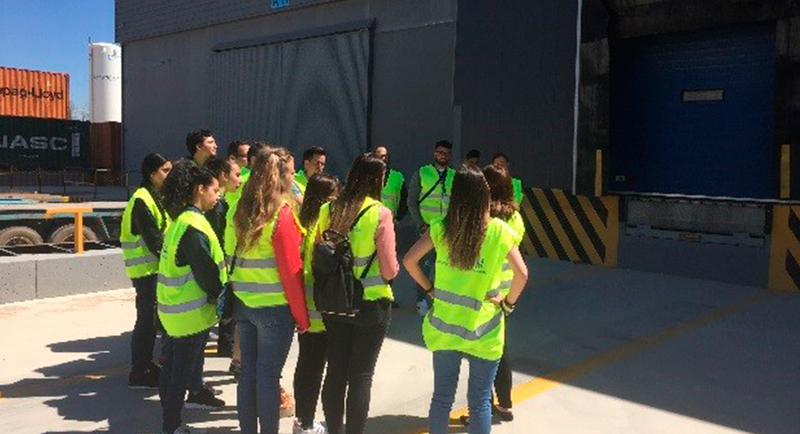 This is the case of the students of Isla Verde Secondary School, who thanks to these activities will be able to have a clear and close vision of the logistics sector that will help them to find motivations and new opportunities to face their professional future with guarantees.